Neurology is the study of the nervous system, most notably the brain. While the field has been around as far back as 2000BC, our understanding of the brain is continuing to evolve. This month’s notable figure is one among many historical members of this field of study. Dr. Souhel Najjar is a neurologist working on topics related to epilepsy, neuroinflammation-related neuropsychiatric disorders and autoimmune disorders of central nervous system. Examples of some of these conditions include anti-NMDA receptor encephalitis , temporal lobe epilepsy, and the implication of neuro-inflammation in diseases such as schizophrenia. A quick search on Google Scholar brings up pages and pages of articles listing him as one of the authors. Dr.Najjar has an extensive educational foundation. He studied medicine at Demascus Medical School in Syria. Following this, he completed his graduate medical education via residencies in both in pathology and neurology at Albany Medical College. He also completed a fellowship in neuropathology, in addition to another fellowship in epilepsy and clinical neurophysiology at the NYU School of Medicine and NYU Hospital for Joint Diseases. During his career, he has had multiple director positions throughout New York City. He has acted as the Director of Neurosciences and Director of Stroke at Staten Island University Hospital beginning in 2006. He has also been the Director of Epilepsy Quality Assurance and Associate Professor of Neurology at New York University School of Medicine. 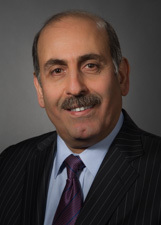 Dr. Najjar is currently the Chair of Neurology at Lenox Hill Hospital and Staten Island University Hospital and is Chair and Professor of Neurology at the Hofstra North Shore School of Medicine. Outside of his pioneering research, he is well known for his work on autoimmune encephalitis diseases, which have only become recognized as their own disease family after their discovery in the early 2000s. In fact, journalist Susannah Cahalan outlined her own experience with the disease, Anti-NMDA Receptor Encephalitis, in her book titled “Brain on Fire: My Month of Madness.” A discussion between Dr.Najjar and her can be viewed at a Autoimmune Encephalitis Alliance Awareness event here. Dr.Najjar continues to act as an advocate and physician for patients within the growing field of autoimmune encephalitis and other neuro-inflammation diseases. Next Post What Kind of Parent are You?